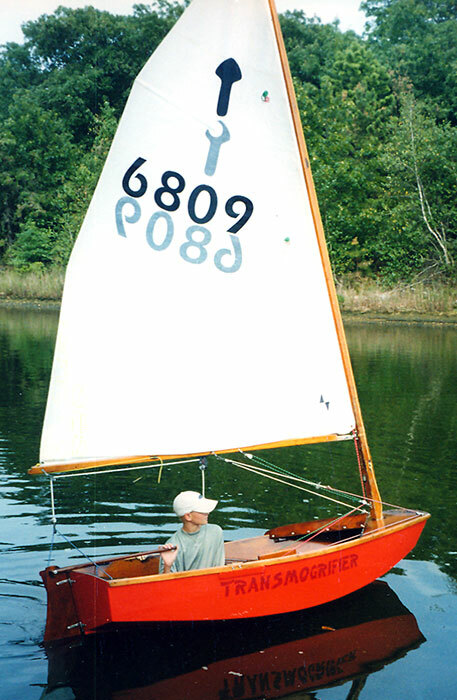 The Richmond Yacht Club of San Francisco, CA designed this 8' El Toro sailing pram in 1936. The current owner, Jeff Brous, writes "This boat was built in 1966 by my father as a tender for our family cabin cruiser. My brothers and my sister and I used to fight over who would take the first sail once we dropped anchor. The boat began to show signs of neglect as it sat unused in my father's boathouse for many years. He gave it to me about 5 years ago and I started a slow restoration." 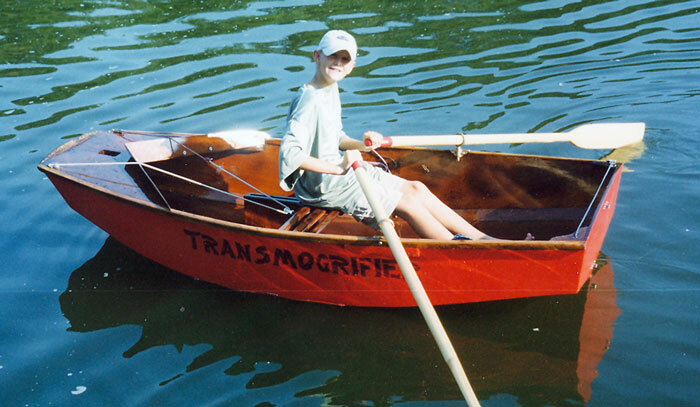 Named TRANSMOGRIFIER, the pram has an 8' length and nearly 4' beam. 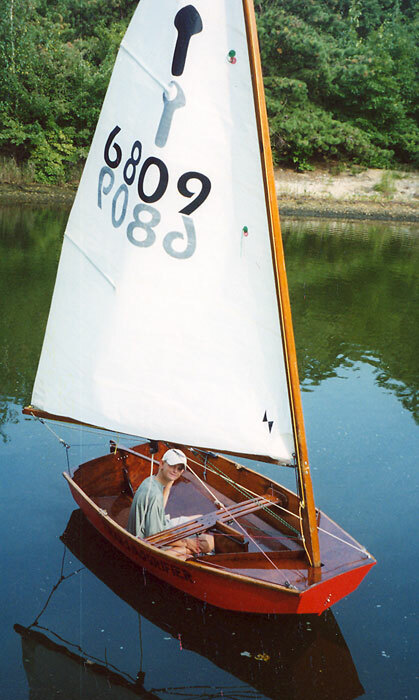 Jeff re-launched her in August 2003 and currently races her in the Frostbite series at the Narrasketuck Yacht Club in Amityville, NY.